With around a week left till the final release, Ubuntu 11.04 is shaping up to be one of the most radical Ubuntu releases till date. 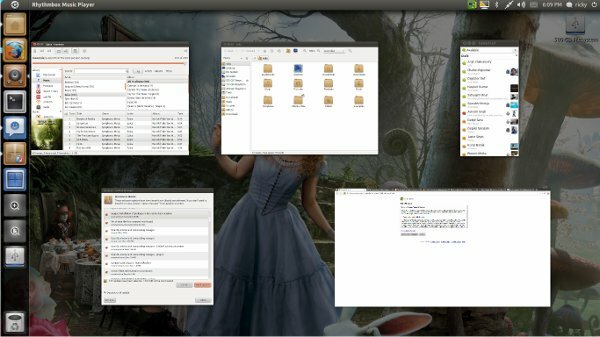 One of the biggest change in Ubuntu 11.04 is the new Unity interface that will come by default. In this article, we will list some of the most useful keyboard shortcuts for unity that should help in increasing your productivity. Note: SUPER key is generally the Windows key in most keyboards. SUPER - Open the Dash. SUPER + <Number from 1-0> - Open an application corresponding to its order in the launcher. For example if the Nautilus is at the top of the launcher, SUPER + 1 will open Nautilus. If the application is already opened, this key combination will focus on the open window. SUPER + SHIFT + <Number from 1-0> - Open another instance of the application. If you cannot remember the order of the applications in the launcher, holding down the SUPER key will reveal the launcher in case it is hidden. SUPER + A - Open the Application place. SUPER + F - Open the Files and Folders place. SUPER + T - Open the Trash. SUPER + W - Zoom out all windows in all workspaces. SUPER + D - Minimize all windows. If all windows are already minimized, restores them. SUPER + S - Expo mode. CTRL + ALT + T - Launch Terminal. CTRL + ALT + ↑/↓/←/→ - Change to another workspace indicated by arrow direction. CTRL + SHIFT + ALT + ↑/↓/←/→ - Move current window to another workspace indicated by arrow direction. SHIFT + ALT + ↑ - Zoom out all windows in current workspace. ALT + F2 - Open Dash in special mode to run commands.